to work on a creative project of your choice. Ideas Island is where Fredrik Haren lets creative people stay for free to work on their ideas during the summer. 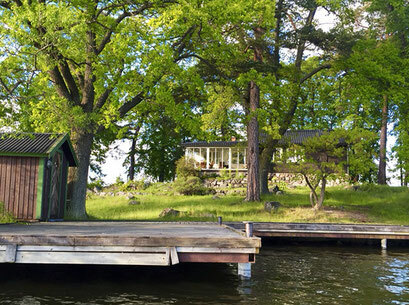 Ideas Island Vifärnaholme is a 7,000 sqm big, private island close to Stockholm, Sweden, that you get exclusive access to. Yes, you get the whole island to yourself so that you can focus on finalizing whatever idea you want to make happen. It has been created to make it as inspiring, relaxing and enjoying as possible to sit and work on ideas. The house is not big (65 sqm), but since the house is located in the middle of the island, it is only a few meters to the water on all sides. The closeness to the water will inspire you. The house will sleep about 6 people in 5 beds in 4 bedrooms (+ one small guest cabin.) 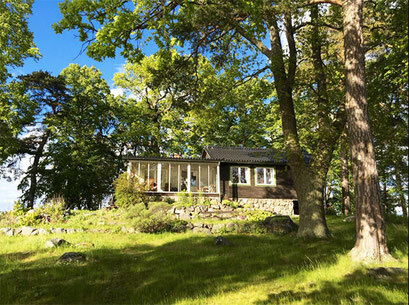 The house is not fancy, but a typical Swedish summer house. It has running water, electricity, washer, heating and water closet etc. The house might be basic, but the island is magical. It has its own beach, its own dock, plenty of room to run around, and yet small enough to always be close to water. 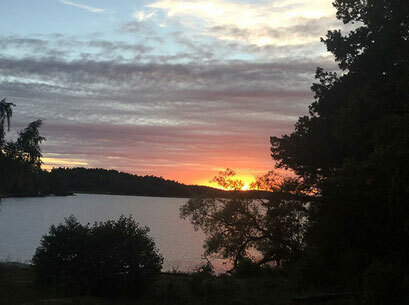 Even though it is one of the 10 most central private islands in Stockholm, the island feels very isolated and secluded once you are on it. 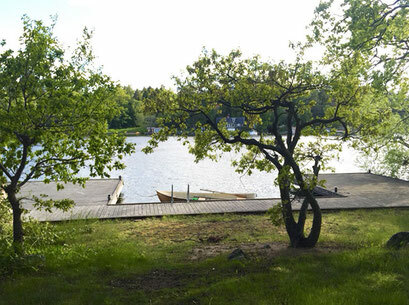 In most directions you see nothing but water and trees, yet you always know you are close to civilization. You get to the island by rowing about 200 meters. "This place is like oxygen for the mind"
"Amazing! Live scenery with remarkable nature! Living being’s best Home! What a place!" "beats every getaway, hideaway, escape, retreat etc. that I’ve ever been on." Did you ever wish you could just get away and sit alone on a private island and just focus on your best ideas? Ideas Island has been created as a safe haven for creatives. A place made to inspire and motivate people with great ideas to make those ideas happen. To stay is totally free. We do not charge you anything. But we do encourage our guests to give some money to a charity that we support. Normally guests give about 1000 USD per week, but if you can not afford that we are fine with less, or even nothing. We want to help create an environment that helps to bring some great ideas to life. And we all know that truly great ideas come when we are in solitude, when we are relaxed, when we are close to nature and when we feel in tune with the universe. 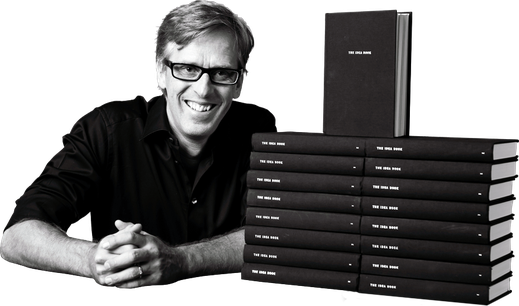 Fredrik Haren is an author and global keynote speaker on Business Creativity. He has delivered over 2000 presentations, lectures and workshops in over 60 countries and has inspired hundreds of thousands of business people to become more creative and to look at the world in a new way. Just last year he was invited to speak in 23 different countries. 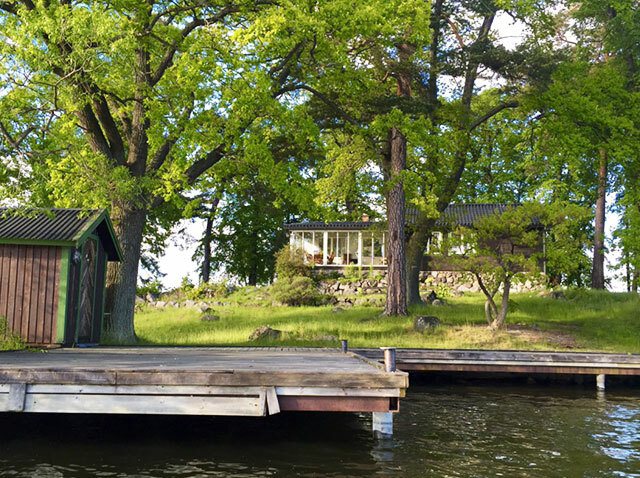 He is the author of nine books, including “The Idea Book” that was included in “The 100 Best Business Books of All Time” because he lives two months per year on another private island in Stockholm. 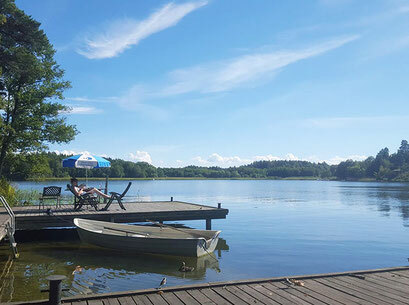 Why should you visit Ideas Island? Ideas Island was created as a safe haven for creatives. A place made to inspire and motivate people with great ideas to make those ideas happen. Created to give creative people the time and space needed to sit down and focus on their ideas – while at the same time feeling great. And to let them stay on the island without having to pay us anything. If you get to go, you have the whole island for yourself, so you can be alone with your ideas. 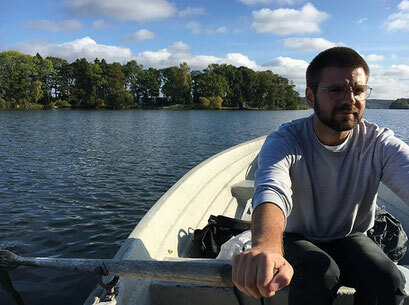 Fredrik Haren created Ideas Island because he knows that the best ideas come when we are in alone in a relaxing place, preferably close to water. He knows, first hand, that a private island is perfect for idea generation, because he lives two months per year on another (!) 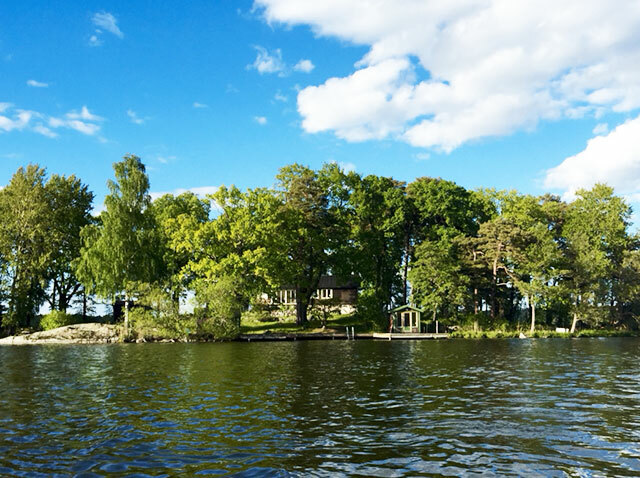 private island in Stockholm. 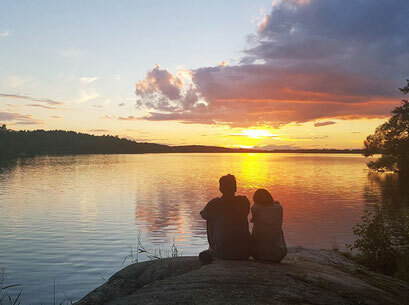 He bought his second island (Ideas Island) so that more people could get a chance to experience the magic of being alone with your ideas on an island. 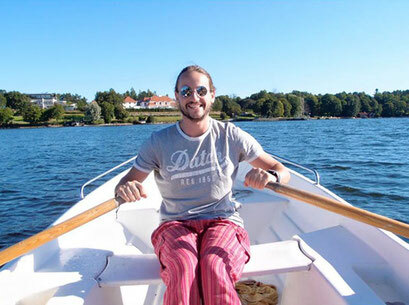 Fredrik feels it would be wrong to charge guests to stay on the island. He does not want to make money on your creative process. Ideas Island is his way of giving back to the world. A way of encouraging creativity. And he is happy to take the cost of running and developing Ideas Island. 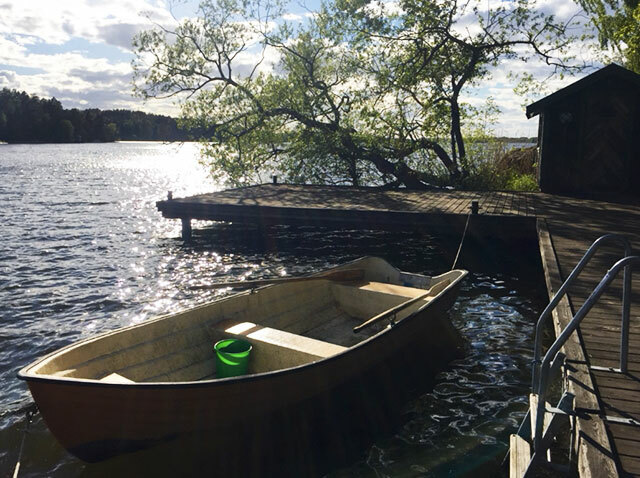 If you feel the urge to get away to a private island to sit and develop some great ideas, then read the rest of the information here and feel free to apply to be one of the lucky ones that get to go. Do you feel that you would benefit from getting the chance to stay on a private island this summer so that you can develop some of your best ideas? If so, do not hesitate to apply! Life is to short for your best ideas not to be given the attention they deserve. © 2017 Ideas Island. All rights reserved.